For any business, no matter how small or large, downtime can have a profound effect on trading, revenue, and customer satisfaction. In fact, downtime can destroy business reputation, trust and even spell the end of a business. It is essential to minimise the risk of downtime as much as possible. To do this, companies need an appropriate recovery plan and proper power provisions such as UPS – Uninterruptible Power Supplies. Many businesses take electrical power for granted. However, if a power cut occurs then businesses can lose vital information and data. Loss of power can destroy work and require costly rework. An uninterruptible power supply can help to alleviate the risk by giving you vital power in the event of a power outage. This can enable teams to save work and shut down their devices safely. What Is A UPS – Uninterruptible Power Supply? With a UPS, you can ensure your business is always on. 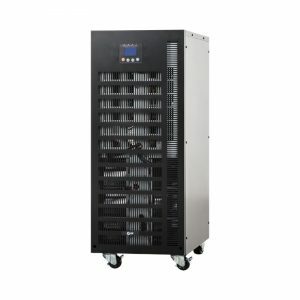 UPS power supplies are available in a number of different sizes and types, but they all work to provide battery power in the event that electricity fails. This means that a UPS power supply can provide protection for businesses in the event of brownouts, blackouts, drops in voltage and power supply issues. Maintains – Ensures business continuity. 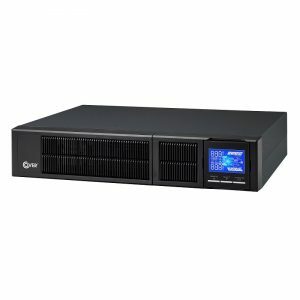 It is important to find a UPS that can handle the number of devices that you want to attach to the uninterruptible power supply. This will cover how long you need power for. Smaller companies may only need a very short amount of time to shut down their devices safely; larger companies may require more time from their UPS. Depending on the number of devices and the size of the business, it may be better to use multiple uninterruptible power supplies rather than just one large capacity device. UPS come with a power rating which will determine the load that the UPS can support. It is important to find the device with the right power rating for your devices and business requirements. UPS With Hampshire Generator & UPS Co.
At Hampshire Generator and UPS Co., we source reliable UPS devices with high-quality power. Our team can help you find the right UPS that is compact, efficient and office friendly. We know that power and risk management is essential for businesses, which is why you will have the full support from our team who are experts in the industry. As an industry leader in power protection, we offer full technical support, servicing and repair as well as having ISO 9001 accreditation to prove our commitment to quality.